Alternative and Holistic care for Health and Life Challenges. Chronic pain, Arthritis, Lyme disease, Auto-Immune disorders, Dietary issues, Fibroid tumors, Fertility Challenges, Life and Career Challenges, Health Challenges, Relationship challenges. Reach Your Goals with Expert Guidance and your first hand experience, how we learn best! All Organic Wellness Retreats, Three Year Certification program for Downey method Holistic Shamanic Counseling, Soul Retrieval & Past Life Therapy Training. Why Holistic Shamanic Counseling for healing? While Modern Medicine offers help for the physical body and traditional Shamanic Counseling or psychotherapy offers help for the mind and spirit Kathleen combines mind, body and spirit. Understanding that diet, spiritual or sub-conscious trauma and our environment can all be part of what knocks us off balance. Having healed herself before embarking on 7 years of training and dedicating herself to helping others for the last 25 years of her life, she feels it's important to address all aspects of who you are and has had tremendous results doing so over the last 25 years. With Therapy to heal sub-conscious trauma, nutrition and herbal/supplemental support, diet and exercise/lifestyle changes. As Author of Healthy is Delicious the Gluten Free, Dairy Free, Soy and Sugar Free cookbook and Nutrition Guide, Kathleen can guide you to the right diet for you! Recognizing that everyone is different and sensitivities toward food and environment can be different. Diet, exercise, environment and emotional well being working together to support your fullest potential! Every organ in your body has an energetic relationship to an emotion. An example of this is the liver, which is connected to the emotions of anger and repression. When we cannot verbally defend ourselves against an oppressor we get angry. When this happens it creates heat in the liver, which creates an imbalance or weakness and leaves us susceptible to illness and disease. Add to this an opportunistic spirochete like Lyme disease, which will attack weaknesses in the body (the liver is often the first organ of it's attack) and the liver becomes more imbalanced and anger more present. Anger can also lead us to think and rethink about the oppressive action perpetuating and creating more anger and a possible need to self medicate with drugs and alcohol. This need to "numb out" only creates further issues for your liver and for your life. You are no longer present you can no longer make good choices for yourself or others. There are reasons you were originally not able to speak up on your behalf, which may be associated with early childhood trauma(s). These traumas are addressed safely with an understanding of the subconscious expectations trauma creates. Through Soul Retrieval and Past Life Therapy you are empowered to change your life for the better because only you can make this change and the first hand experience this therapy offers will support that change. Soul Retrieval, found in the history of every culture, addresses and pinpoints times of trauma to the spirit or emotional body. Combined with psychotherapy Soul Retrieval and subsequent guided integration sessions allows for a first hand experience that helps you to remember who you truly are and what prompted you to make choices in your life. Healing subconscious trauma, which brings disassociation or fragmentation of the spirit with Soul Retrieval allows for understanding that relationships help us to learn. Kathleen combines the bigger picture or long term history of the relationship through Past Life Therapy where clients discover that they make new choices, which can change everything for the better in the present. Learn to build healthy boundaries with others, learn what your inherent creative gifts are that will support your emotional balance, your optimal health and your career or relationship goals. Kathleen's unique therapy was developed from a combination of 2 Near Death Experiences (that have left her exceptionally intuitive and clairvoyant), healing herself from cancer, severe Lyme disease symptoms and many dedicated years of study with all the leading experts in the field of alternative holistic health, herbalists, Nutritionists, Shamanic Healing, Including Michael Harner, Sandra Ingerman, Tom Cowan and several Indigenous tribal elders from the US, Peru, Mexico, Hawaii, Ireland and Egypt. And working with thousands of clients over the last 25 years. 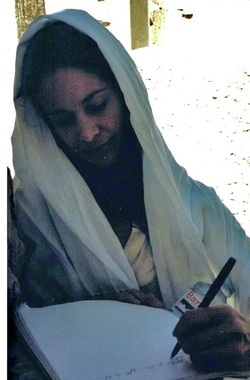 She began a meditation and yoga practice at thirteen then went on to study psychotherapy, acting, nutrition and detoxification protocols from across the globe, Shamanic Healing techniques, Acupuncture and Acupressure, Applied Kinesiology for non-invasive sensitivity testing, Qigong and Sound healing. You are the Key to your Health and Happiness. Private sessions in person are available in New York, Western New Jersey, Eastern Pennsylvania, California, Western New York (summer) and by phone or by Skype Worldwide. Kathleen also offers Training and a certification program in her unique Therapy, which combines Soul Retrieval, Holistic Shamanic Counseling, Extraction and Past Life Therapy. With a thorough overview on Nutrition, herbal, supplemental and flower remedy choices for the individual. She and her professional staff offer life-changing 4 Day or 7 Day All Organic Wellness & Yoga Retreats. Health needs are different for everyone, our Private Retreats include individual care for your health needs. We are available for scheduling pre-retreat testing for food and supplement sensitivities, Hormonal and Mineral balance, Thyroid function and more because personal care is the only way to do it right. We offer several Wellness programs starting at $300 locally. Change occurs naturally and sometimes spontaneously with these life-changing experiences﻿. Empowering and educating her clients to understand the core building blocks of Nutrition and Emotional Healing is Kathleen's calling in life. With the help of her daughter Courtney, who is a Nationally Board Certified Massage Therapist and HHP she includes Therapeutic Massage and Raindrop therapy to the mix. Always looking for ways to help clients overcome illness such as Arthritis, Diabetes, Lyme disease, cancer, chronic fatigue, Digestive disorders, injury, Chronic pain, scoliosis (raindrop therapy and some yoga poses are great help for scoliosis), fibroid tumors as well as life challenges like career changes, relationship challenges and fertility challenges. If you are facing a health issues and need for a life style change please call or email we are here to serve you. ﻿858.401.3144 or corelevelhealing@gmail.com﻿. Below is a testimony from the New Year Resolution Detox Retreat in Bucks County, PA January 2015. Craig had a Soul Retrieval on the 2nd day of the retreat and as he says, his chronic, life-long back pain disappeared. If you'd like to schedule a private or group Retreat or schedule a private session for Holistic Counseling, Soul Retrieval, Past Life Therapy or Nutritional Guidance, Raindrop Therapy please call 858.401.3144 or email corelevelhealing@gmail.com. 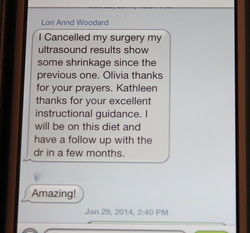 This text was sent to Kathleen from a client 4 days after the end of the Week Long Detox Retreat in Hawaii January 2014. This client had a Soul Retrieval and several integration journey sessions before the trip and then introduced Kathleen's safe detox with the no inflammation diet in Kathleen's book, Healthy is Delicious to her for 8 days. The result was tumor shrinkage and the cancellation of surgery. Lori Ann had ultra sounds before and after the Detox Retreat. The 4 Day, 7 Day, 10 Day or 14 Day Detox Retreat Vacation ﻿has helped clients to lose weight, release depression, change eating disorders, improve eyesight, reverse pre-diabetes, skrink fibroid tumors and more in a matter of days! 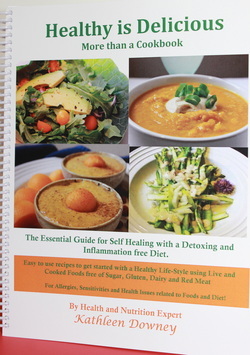 Is the unique combination of Gluten free, Dairy Free, Sugar and Soy Free Cookbook and Nutritional Guide with 80 pages on the benefits of all the whole organic foods Kathleen used in the recipes along with a 400 item index to help support your health and healing with food. It has quickly become a best seller in the first 6 months after it's release in August of 2013. Kathleen has loved cooking since she was just old enough to reach the counter. She cooked for her family of 9 throughout her life and developed the inflammation free diet she has been using since she contracted Lyme disease more than 25 years ago with great success. She has helped hundreds of people safely detoxify their digestive organs and start a diet that is right for them! Lori Ann of New Brunswick, NJ - "I had the time of my life on Kathleen's trip to Hawaii! When I returned I was able to cancel my surgery! My tumors shrank in those 7 days under Kathleen's Expert Guidance and Care!" Robin of Bucks County, PA - "For the first time in a year I was able to sleep and feel like myself again after 10 Days Detox with Kathleen"
I am so grateful she is dedicated to helping others the way she does, she's always available to assist!" Kathleen Downey, CSCP is a Certified Eco-Psychologist, utilizing Shamanic Counseling, Soul Retrieval, Extraction, Past-Life Therapy, Nutrition, Herbal Remedies, Acting and Voice coach. She is also a certified Qigong Instructor. She is a Soul Retrieval and Past-Life Therapy Training Facilitator, Special dietary needs Counselor, Author of Healthy is Delicious a gourmet guide to Gluten and Dairy free diets and life-style. She has helped thousands of people in the last 25 years of private practice to face health issues, life crisis and challenges, business shifts and expansion with visionary support, confidence and awareness. Please contact her at corelevelhealing@gmail.com or call 858.401.3144. You can also use the submission form below. Courtney Downey, NCTMB, LMT is a Nationally Board Certified Massage Therapist and HHP (Holisitic Health Practitioner) Courtney has 1100 hours of training and has worked on behalf of hundreds of people for the last 8 years helping them to heal pain and discomfort, relieve stress. She is widely known for her Deep Tissue Massage, Sports massage, Raindrop Therapy and Pregnancy Massage. Acting classes and Camp for Children! Shamanic Counselor, Past Life Therapist, Nutritionist, Artist. 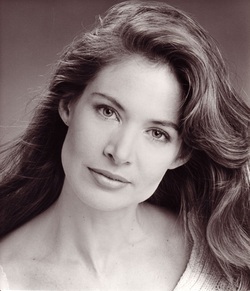 Author, Artist, Teacher, Visionary Healer, chef, Actress, Acting and Voice teacher, motivational speaker, survivor Kathleen Downey has worked as a healer, medical intuitive and counselor for a wide range of people from World renowned scientist, doctors, CEO's of large corporations, actresses, writers, film directors, politicians, nurses, teachers and housewives for 20 years. She has survived two "near" death experiences and is considered a living example of how healing the spirit can heal the body and life. A truly inspirational being she is a single mother who since her first transition with "near" death in 1979 has been a successful artist on many levels: Film Maker, Writer, Actress, Painter, Jewelry maker, set designer and Singer. Then twenty years ago she was confronted with the task of healing herself of cancer, a herniated spine and Lyme disease. She had been practicing yoga and using herbal remedies since she was a teen however, it was her second "near" death with Lyme disease that brought her to discover the healing techniques found in the original spiritual tradition, the oldest experiential meditation of the Shaman. With this guidance she found her truth, overcame her illnesses and healed. Kathleen has over thirty- five years of experience working with herbal remedies, thirty-five years of experience cooking healthy dairy and wheat free foods, twenty five years of experience in healing sub-conscious trauma coupled with intensive study in both modern and ancient healing methods, those of the oldest experiential meditations used by the Shaman without enablers. She has worked with Anthropologists, Psychologists, Historians and Indigenous healers from North and South America, including the Q’ero considered to be the last Incan tribe, Celtic, Egyptian and Hawaiian healers. With twenty five years of experience helping others in private practice she brings vast wisdom of the symbolic language and interaction our sub-conscious or spirit uses to help us learn. Her great compassion for fellow human beings together with expert healing and dietary knowledge has helped Kathleen to change the lives of thousands of people globally. Angel's and Earthlings a series of children books for both children and adults who seek understanding and single parent guidance. Kathleen's intentional paintings have created manifestations of all things from homes to relationships, jobs and pregnancies. Her jewelry is made by hand and woven with healing in mind. She is available for remote distance healing over the phone for people any where in the world. Kathleen volunteers to help teenagers that live in troubled and under-priviledged neighborhoods of Los Angeles. She helps these teens by guiding them through the Shamanic Journey to a first hand experience with their spirit guides helping them see a way to a brighter future. Shaman-ism is not a religion. It does not require worship nor does it follow any written scriptures, it is an ancient spiritual tradition, the oldest most profound meditation that has existed for forty thousand years, predating and forming the basics for many of the worlds greatest religions. The function of the tribal Shaman is, the same today as it was in the past, to heal the mind, body, and spirit. The journey of the Shaman is a journey beyond time and death, into the realm of spirit. Thus allowing the Shaman to become the link between matter and spirit, an instrument to tap into knowledge as old as humanity itself. The journey, taken to see the past, present and future where discovering the reasons for illness and unbalance, becomes the tool for healing. Using learned ancient tribal techniques, handed down for generations, the Shaman would restore balance and health in his/her patient. The healer, counselor, and seer gently guiding members of the community into the future possibilities of balanced health, personal power and creative potential. The facilitator for positive change, the Shaman uses his/her gifts for restoring personal power to others by helping one to "see with your heart," honor yourself and all creation. The true healer will never say, "Follow my footsteps" but will instead tell us and who us how to, "Follow your own footsteps." Listen to your heart, to your soul, to the earth and all sentient beings. All that exists is part of the infinite web of life. Thankfully there still exists, in remote places on the earth, the ancient work and support of the original spiritual practice. Anthropologists, Psychologists, and people like Kathleen Downey have all sought to learn the phenomenal wisdom of this "original medicine. Kathleen has coupled it with modern psychology techniques and regression therapy for a truly unique experience that becomes a life long tool for healing. As our fast paced, stress filled, lives wear down our emotional well being and subsequently our bodies, we are awakening to the need for answers, simple truth, that will allow us to heal, from the most profound part of ourselves, our spirit. The condition of our spiritual/emotional self is reflected back to us in all aspects of our physical body and life. experienced miraculous healing for her spine. Jon was so profoundly touched by the shamanic healing experience with you. Thank you so much for helping him. He wants to come and see you again. He said, It was one of the most moving experiences in his life.